We all have that one guest who always seems to be wearing one scent all the time – Eau de Foot (literally!). You know what I’m talking about; that one friend who you always prefer to host in open areas like the balcony, backyard, patio, basically anywhere but inside your home. Why? Coz their smelly feet will stink up the place faster than a cornered skunk. But instead of chasing my uncle outside all the time (he knows who he is), I decided to find out what really causes his foot odor and if there’s a remedy on God’s green earth that could help him. And wouldn’t you know it – the culprit was toenail fungus. Today, we’ll dive into how to get rid of toenail fungus using essential oils. Also known as onychomycosis (quite a mouthful), toenail fungus is one of the most common foot problems affecting a large percentage of the global population. The name refers to a condition that affects the nails, but it’s more common for toenails than fingernails. It is typically characterized by pain, redness or inflammation in the toe. The infection starts off as slight discoloration and develops slowly. As it goes deeper, the infection causes heavy discoloration as the nails become thicker and more brittle. Definitely not a pretty sight. Toenail fungus affects over 10 percent of the population, with older people and men being more prone to it. Fortunately, the condition is quite easy to address even without treatment. But first, how do you really know it’s toenail fungus and not something else like athletes foot? So, First Things First: What Does It Look Like? Although you might think otherwise, nail fungus is a very common nail condition. It all starts with the appearance of white or yellow colored spots beneath the tip of your toenail or fingernail and goes deeper causing the nail to crumble, thicken and discolor at the edge. Further, the nail could become dull, ragged and brittle, dark in color, or may change shape. You may start suffering from the condition called onycholysis where the nail starts to split from the nail bed causing great discomfort and pain. If this condition is ignored, it could go on expanding indefinitely and cause trouble in other parts of the toe. In several cases, the infection comes back even after going through the complete course of treatment. Thickening and yellowing discoloration of the toenails are a dead giveaway for onychomycosis. However, you may also see black, white or even green discoloration. The toenails become more brittle as the fungus progresses with pieces or entire nails breaking off. The skin underneath gets painful and inflamed with a very foul stench emanating. As the name suggests, toenail fungus is caused by a set of several fungal organisms with the most common being dermatophytes, yeasts and molds. Derrmatophytes are the fungus responsible for the condition in temperate western countries while candida yeasts and molds are more frequent in regions with hot, humid climates. These organisms are found almost everywhere. So, perhaps the most important question to ask would be, what are the factors that put some people more at risk of getting toenail fungus than others? People who sweat more (especially in the feet) are at a higher risk of getting toenail fungus. That’s because the yeasts and molds prefer warmer, humid temperatures which you provide when you sweat all day in your shoes. People with circulatory problems, athletes foot, or diabetes are at a higher risk of getting toenail fungus. That’s because these ailments lead to low peripheral temperatures on the feet or weakened immune systems. Toenail fungus can spread through direct contact such as when you walk barefoot in public places. These include swimming pools, gyms, hotels, spas, showers, among others. More often than not, treatment is not always necessary for toenail fungus – as long as you can maintain good hygiene and proper foot care, the problem tends to go away on its own. However, there are instances where the onychomycosis could lead to other severe infections that could spread beyond the feet. Likewise, a severe case of toenail fungus could become very painful and cause permanent damage to your nails. With this in mind, it’s clear that getting treatment (conventional or otherwise) as early as possible is the best thing you could do. The first group to seek treatment should be where there’s an underlying illness involved such as diabetes, athletes foot or people with a suppressed immune system. After that, anyone who has tried to get rid of the fungus at home and failed should also seek treatment. Again, not all cases of toenail fungus will require treatment. But if your doctor confirms you will require some treatment, here’s how conventional treatments work in an escalating order. Your doctor will prescribe an oral antifungal medication based on the kind of fungus you’re dealing with. These oral medications include terbinafine which is substantially more effective than the alternatives fluconazole and itraconazole. Topical antifungal treatment is also prescribed for some cases of toenail fungus. While oral treatment takes about 3 months, topical treatments usually need to be applied for prolonged periods of up to a year. Some of the topical agents include amorolfine, ciclopirox nail paint and efinaconazole. Unfortunately, these treatments only address the fungus and don’t heal the nail itself. In more extreme cases where the above treatments aren’t working, doctors may recommend chemical or surgical debridement of the affected nails. But not to worry, a new nail will usually re-grow within a year. The two images below show 13 facts about nail fungus. What Are the Benefits of Going All-Natural? This has to be the most notable benefit of opting for natural treatments as opposed to conventional treatment. See, almost all the medical treatments for toenail fungus come with dire side effects. In the case of oral antifungal drugs, they pose the severe risk of harming your liver’s function. Topical agents on the other hand don’t even promise a cure, they just improve the appearance of fungal nails. This is a huge waste of time and money if you ask me. Like washing your cup on the outside only and calling it clean. 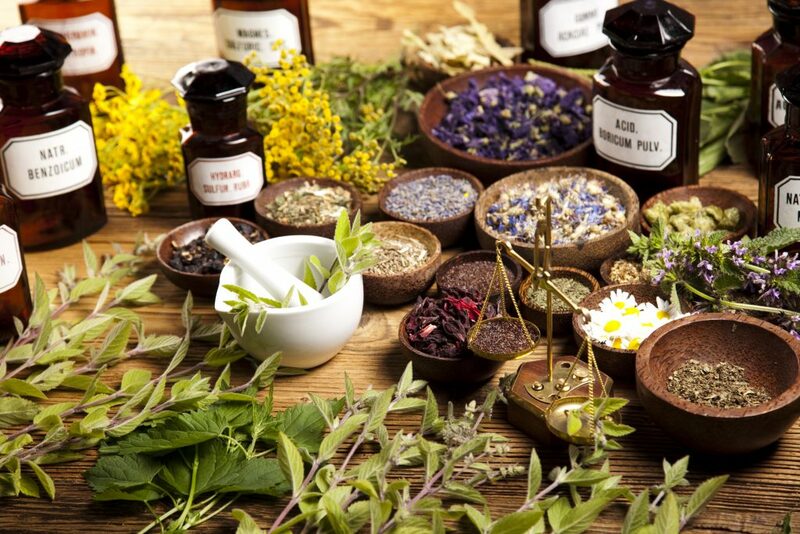 Natural treatments have always stood out for being cheaper alternatives. But for problems like toenail fungus which require extended periods of treatment, the cost of conventional treatment will really get you down. Who wants to take expensive antifungals and then apply costly creams for a whole year? Natural treatments may take just as long, but at least they won’t cost as much. Why Use Essential Oils For Toenail Fungus: Are They Safe? I’ll be honest, there’s no shortage of medical treatments to fight off any type of fungus. Unfortunately, all these medication come with hefty side effects such as allergic reactions, heart problems, liver damage, gastrointestinal disorders among others. I don’t know about you, but I’d rather have bad nails but keep my heart and liver healthy. Well, what if I told you there was a way to treat toenail fungus without any of the side effects? Essential oils are packed with all the natural healing components your body needs to beat the fungus. 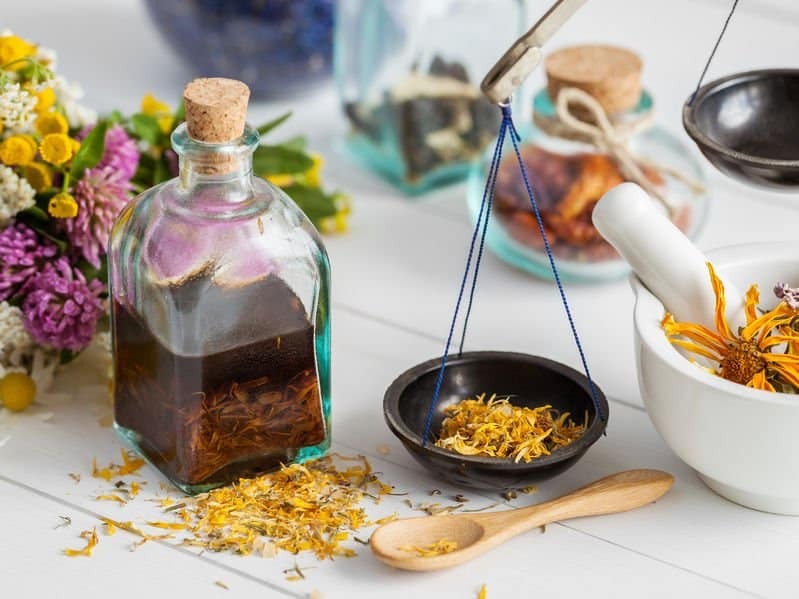 Some essential oils such as Tea Tree and Oregano are ripe with antimicrobial, antifungal and antibacterial properties that eliminate yeasts and harmful organisms in your system while others like lemon and cinnamon oil prevent any regrowth of fungus. Other essential oils like frankincense are known to boost the immune system while peppermint will provide a double whammy in regards to relieving discomfort and eliminating foot odor. Doctors and naturopaths recommend several different therapies for the treatment of toenail fungus. One among such therapies is aromatherapy that uses plant-derived essential oils as its major tool against the disease. Most of these essential oils are easily available and safe to use. One such pre-made blend is H-Nail Fungus from AMOILS. Click here to read my review on this product. Let’s look at some of the benefits of the FDA-approved Zeta Clear Anti-Fungus Formula. Zeta Clear is a safe, natural and easy-to-apply homeopathic solution that helps clear nail fungus fast using natural fungicidal ingredients. Clinical studies have proven that it is 6x more effective than other anti-fungal OTC medication – it works by preventing and inhibiting the growth/reproduction of fungus cells. Click here to find out more. Tea tree oil is one of the best oil for combating this villain fungus. My own personal experience says that you can bank upon this oil as a standalone solution for all your toenail fungus woes. How to use Tea Tree oil for best possible outcomes? In order to begin with the treatment, clean the affected area by rubbing it with alcohol, and then apply undiluted tea tree oil straight to the nails. Allow them to soak in the solution. After about 10 minutes, scrub the nails very softly using a soft bristle toothbrush. Follow this therapy on a daily basis until a new healthy nail grows out completely. Thereafter, continue using the oil for another 2-3 weeks to prevent the re-growth of the fungus. Oregano is highly effective in killing the fungi that is responsible for nail and toenail infections. Only a small amount of this oil is enough to help you get rid of all kinds of infection in the toenail. In addition, Oregano can easily top any list of essential oils that are effective against any kind of colds. Another essential oil that I recommend to use against toenail fungus infection is Orange Oil. You can combine this oil with tea tree oil to make a highly effective blend that can easily counter the fungi development in the toenail. Another way of using orange essential oil is mixing it in ACV and then applying the blend over the affected area. Both these methods of using orange essential oil will get you quick relief. The anti-fungal quality of Lavender essential oil makes it an effective remedy for treating mild cases of nail and toenail fungus. Apply a small amount of lavender oil to the infected nails before going to bed and allow it soak in while you sleep. To prevent the oil from rubbing off, you may cover the feet with a pair of woolen socks. You should ensure that the socks you are using are not made from synthetic fibers, as this will aggravate the infection. It is my recommendation to continue with such topical treatments for around several weeks even after the infection has subsided. Keep in mind, a healthy looking toenail might still carry the traces of fungus within it. How to use Lavender essential oil for nail fungus? 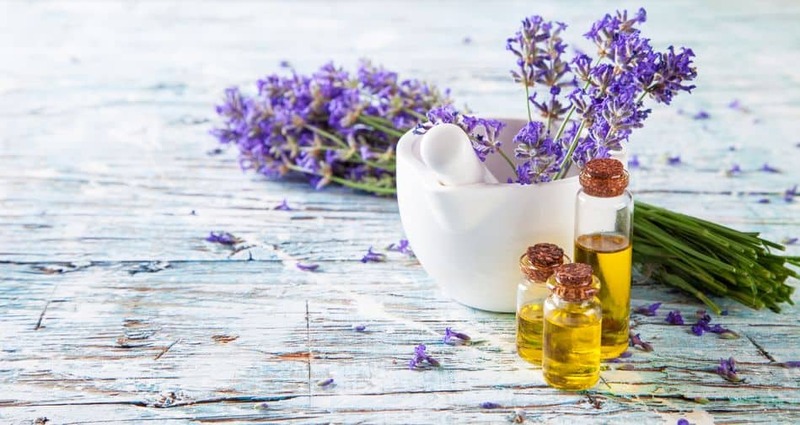 While lavender is one of the best oils for nail / toenail fungus, I would recommend using the mix of lavender and tea tree oil rather than using lavender alone if you are looking for quick and sustainable relief. When fungus attacks, the nail produces a damp hideout for it to grow. Wash your hands / feet thoroughly and clip away the nail as much as possible and leave the edges rounded to make sure they don’t catch on carpet or clothing (metal tools used to trim the infected nails need to be sterilized and air-dried before being used for the procedure). Wash the toenail area carefully and allow it to air dry. Drip one to two drops of the blend of tea tree and lavender oils over the affected nail bed every evening and morning. Repeat the above procedure daily for at least 4-6 weeks. Because of the presence of Eugenol, the essential oil of clove is a potent antiseptic and antifungal agent. In addition, if you are experiencing pain due to the toenail fungus, then clove is the best oil to go with. Mix the clove and coconut oil well and use the blend straight over your toenails. In case your skin around nails is sensitive or broken, you can dilute the blend further, i.e. use 2 tsp instead. Follow the same procedure 2-3 times in a day. Cinnamon oil is another essential oil with antifungal properties that can be used for the treatment of toenail fungus. Just like clove, Cinnamon is also rich in Eugenol and in addition, it is extremely effective against candida albicans bacteria, which is one of the many factors behind toenail fungus. The best part about the essential oil of cinnamon is that you can use it both topically and internally. To start off, clean your toenail. Apply undiluted cinnamon essential oil with a cotton ball to the affected nails at least two times in a day. In case the nails have thickened, clip and file them appropriately before the procedure. If you have sensitive or broken skin then it is better to dilute cinnamon oil in a carrier oil (4-6 drops in 1 tsp carrier oil). However, if you can bear the tingle of the undiluted cinnamon oil then it is better to use it directly without any dilution. Add 1-2 tsp of cinnamon oil in a hot water bath and dip your feet in this blend for around twenty minutes. If you want, you may also add Epsom salt to this mix. Pat your feet dry after the procedure is complete. Repeat the same procedure at least once daily. Put the cinnamon powder (or cinnamon stick) in a pot and pour boiling water over it. Allow it to steep for roughly 5-7 minutes before straining. Add the tea bag and steep for 2-3 minutes. You can add honey to this mix as per your choice if the tea is too bitter for you to relish. Drink this tea at least 2 times per day. Precaution: Breastfeeding and pregnant women should avoid taking cinnamon. Thyme has been used since the times of ancient Egyptians for its antibacterial properties. 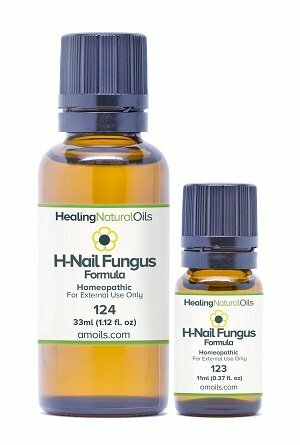 While being a potent anti-fungal, its primary component thymol prevents the development of candida which ultimately helps the body to fight off nail and toenail fungus. When it comes to obtaining quick relief in conditions like toenail fungus, you can consider thyme essential oil as good a treatment as over-the-counter medication. You can use thyme directly on your toenails. The oil will be directly absorbed into the area where it is needed. If your nails are thickened, then clip and file them down. This makes the absorption more effective. If the oil is irritating your skin, consider diluting the oil in carrier oils such as olive, almond or sunflower. Fill a container with lukewarm water and add in Epsom salt and 8-10 drops of Thyme essential oil. Soak in for about 20 minutes at a time. This is the most effective topical blend for any type of fungal infection. To prepare it, simply mix all the above essential oil in a glass container. Apply just two to three drops of the resulting blend on the infected toenails twice a day. Mix the 2 essential oils and dip a couple cotton balls in the resulting blend. You can dilute the blend in a tsp of carrier oil if you have sensitive skin. Once the cotton balls soak in the oils, clean the nails and then apply the cotton on the infected nails. Let the cotton ball compress sit for about half an hour before removing it and washing your feet. Make use of a dropper to apply oil on nails and between toes. Allow the oil to soak in for at least 30-45 mins. Some essential oils could be too strong for people with sensitive skin, so if this is the case, dilute the essential oil in a carrier such as olive or almond oil before application. If you are unsure about using essential oils, conduct a patch test beforehand. 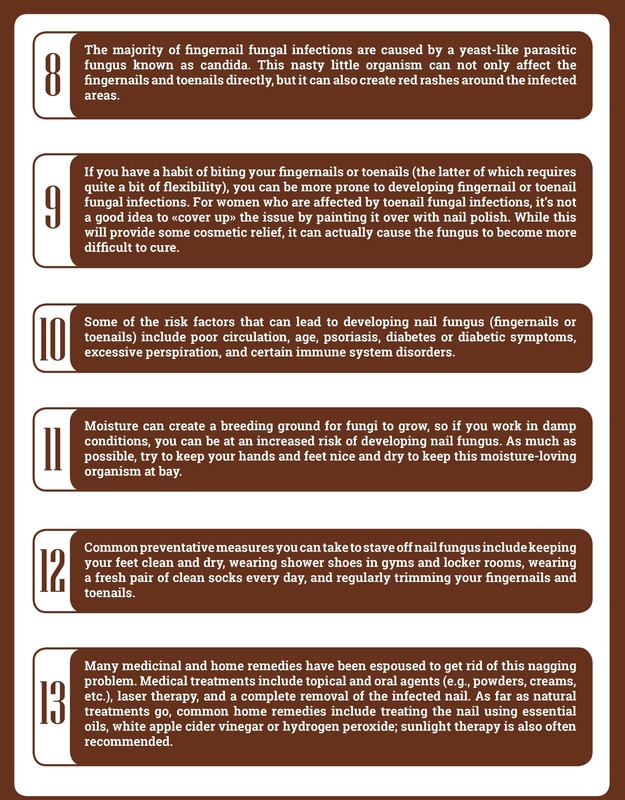 Below are six of the most popular home remedies to help you get rid of nail /toenail fungus fast. Ever heard of fighting fungus with fungus? That’s exactly what you can do when you put organic cornmeal to work to combat onychomycosis. Organic corn meal contains a particular type of fungus that is actually deadly to Distal Subungual Onychomycosis (DSO), the fungus that is most commonly responsible for toenail fungal infections. Create a foot soak by mixing two quarts of water and one cup of organic cornmeal in a foot bath container. Make sure to wait about an hour to allow the cornmeal a chance to fully become saturated with water, and then soak the affected foot for at least 30 minutes. Repeat this routine at least three times a week until you see the signs of the infection begin to diminish. Vinegar has dozens of useful applications around the household, one of which is its ability to attack fungal infections by way of its acidic pH. You can combat the fungus responsible for onychomycosis by creating a vinegar paste comprised of regular all-purpose flour mixed with whatever vinegar you choose (apple cider vinegar is my popular favorite). Try to make the paste a little thicker so that it won’t be runny, as you will be leaving it on your toes for a good while after application. Simply apply the paste to all of the toenails that have been affected by the fungus, and then wrap your foot with Saran Wrap or any type of clear cellophane plastic wrap. After this, you can put on your socks and shoes and go about your day while the vinegar paste goes to work on eliminating the fungal infection. You don’t have to leave the paste on for the bulk of your day; you can keep it on for as long as you see fit, but do shoot for a minimum of 15 minutes per application. Coconut oil is one of nature’s most versatile substances, as it can be used in a wide variety of applications for both health and nutrition. 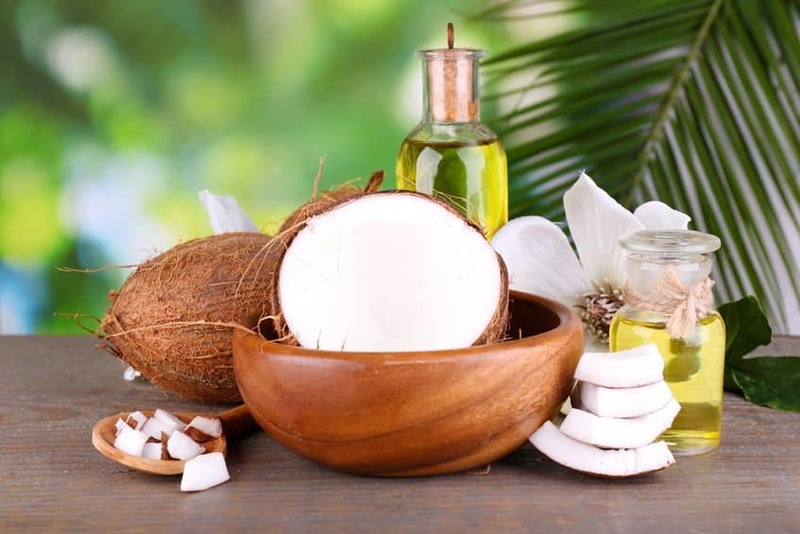 One important but little-known fact about coconut oil is that it contains a medium-chain fatty acid known as caprylic acid, which actually has the ability to break through the tough cell wall of the fungi and deprives them of their barrier of protection needed to survive. In the absence of this protective coating, the fungus cells liquefy and the infection subsides. Simply apply a thin layer of coconut oil to the affected area, allowing it to sit on the skin and nails for a minimum of 15 minutes. The great thing about it is that since coconut oil is an all-natural substance and completely safe for skin health, so there’s really no danger of overdoing it – unless, of course, you’re allergic to coconuts. Sodium borate, more commonly known as “borax”, is a natural mineral substance that typically comes in powder form, and is a powerful antifungal agent. Baking soda (a.k.a. sodium bicarbonate) is one of the most popular cleaning agents around, and its alkaline composition helps to prevent the spread of fungus by basically creating a “hostile environment” for it. 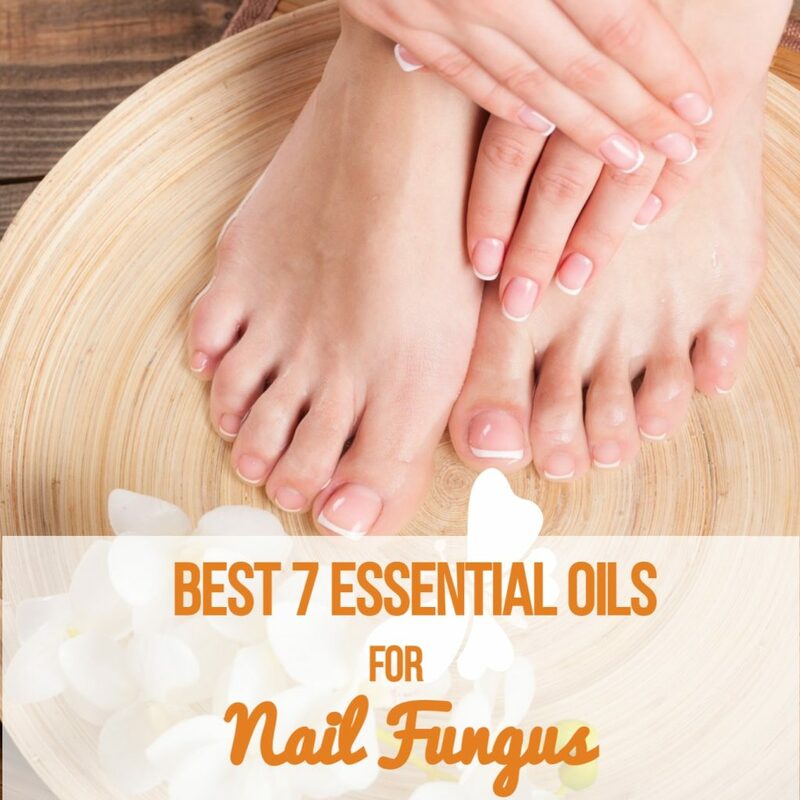 When you mix these two ingredients together, you have an effective one-two punch of antifungal potency that can get rid of nail fungus in a jiffy. Try mixing equal parts baking soda and borax with a small amount of water in order to make a paste. Now wet your feet and then rub the paste onto the affected nails, allowing it to sit for about 10-15 minutes before rinsing it off. Repeat this routine twice a day, and even after you see the symptoms of the fungus disappear, continue with the routine for at least two more weeks just to ensure that all of the fungus has been eliminated. Vicks VapoRub has long been a favorite home remedy for clearing up congestion, but the active ingredients in this potent ointment offer a variety of other uses as well. According to the authors of a 2011 study published by the US National Center for Biotechnology Information (NCBI), the camphor, menthol and eucalyptus oil in Vicks VapoRub were all found to inhibit the growth of various species of fungi that are responsible for toenail fungal infections. Try spreading Vicks VapoRub directly onto the affected area, allowing it to fully soak into the skin and nail(s). Repeat this routine twice a day, once in the morning and once at night until you see the infection begin to clear up. You may have heard about soaking your foot in bleach in order to get rid of a toenail infection, but this is not recommended. While bleach definitely has the power to knock out a fungal infection, you could do significant damage to your skin during the process, which would make it somewhat of a Pyrrhic victory. Instead, create a much safer solution comprised of one part bleach to 10 parts water, and use this as your antifungal concoction. Dip a cotton ball in the mixture and then apply it directly to the infected area, rinsing it off after about 10 minutes. Repeat this routine twice daily for about two weeks, and you should see the fungal infection begin to go away during that time frame. The home remedies listed above have been used by lots of people to get rid of bothersome toenail fungal infections. Just use your personal discretion to determine which method(s) will be the best fit for you, and knock that infection out! Damp shoes and socks are breeding ground for fungus. Let air reach your toes to avoid the buildup of damp environment around your toenail. You could wear open sandals instead of shoes if you find yourself vulnerable to toenail fungus. Wash your socks in warm water after every use. Spray some baking soda in your socks and toenails before wearing closed shoes for a long time. Each time when your feet gets wet, dry them completely before wearing shoes. While it is true that you may not require any treatment in cases of mild infection, external help becomes necessary if the infection is causing you pain and thickening of nails. Essential oils may be just as effective as prescription medication when it comes to treating mild or moderate toenail fungus. And what makes them stand out more is the fact that they have absolutely no negative side effects to contend with. But I won’t lie to you, natural remedies will take longer to show their effects and may take longer to wipe out the fungus. Allow a few months for the infection to subside and two to three months for the discolored and disfigured nail to heal itself completely. I don’t advise putting nail polish during this time. Let the healthy new nail tissue breathe. So make sure you’re consistent in your application and that you keep your toenails trimmed, clean and healthy even after the infection clears…Taking good care of your toes can save you from all the distress of toenail fungus! I have a granddaughter who has the worst smelling feet and shoes you can imagine. She has ALWAYS had this problem. I mean from a toddler to now a 12 year old. We have soaked in vinegar and bleach. What on earth can we do for this child. She is in middle school and will be playing sports. HELP. You can add 8-10 drops each of tea tree and eucalyptus oil to the vinegar/bleach solution. Repeat 3-4 times per week. The alternative is to mix 6-8 drops each of lavender, peppermint and tea tree oil with 1 cup baking soda and sprinkle in her shoes overnight. She can also have this blend lightly sprinkled under/over her feet daily. Before I discovered essential oils I used bleach diluted 1 part bleach (Clorox) and 4 parts water and I got rid of my toenail fungus rather quickly. I soaked my feet for about five minutes once a day for a week. This mixture is probably too strong for most people but I sure had clean feet. Unfortunately the fungus came back a year later because I misjudged my “success” and stopped doing the treatment. Now I use tea tree oil full strength every so often to keep it at bay. Bleach works but it’s a bit dangerous. I really like the sound of your first recipe with tea tree, oregano, thyme, etc. I’m going to mix some up soon and I’m confident it will work, but I really need to stick with plan of some sort. One question though. How do I get rid of the high arched curve on my bigtoe nails? Thanks for your contribution. Please do so and let me know how you go with the recipe. Re the high arched curve, you can trim your toenails regularly using a strong sharp clipper and cut to the point where it starts to curve to an even nail. Don’t cut it too short as it may grow inwards. You’re welcome. Well done for taking the initiative and thanks for sharing your tip. So glad your fingers recovered from the injury. I had a severe case of fungus. My nails were so thick I had to use a dremmel to file down. I used Oregano and Tea tree oil, 1:1 ratio. I used this twice a day, morning and night, for nearly 2 mos., it has cleared all of the nails except the big toe nails. These were very thick and brittle, now they are dark in color. Should I continue to use this recipe or should I use something else. I appreciate your advice. I am not sure about the dark color nails. You can keep using the same recipe – perhaps add the footbaths to your routine as per the cinnamon and thyme recipes. Hi. I have te tree , argan and tamanu oil, what is the ratio for these. and do I apply directly on the nails ? You can use 4-5 drops of tea tree mixed with either 1tsp of argan or tamanu oil. You can apply the blend direct on the nails. You can use 9 drops tea tree, 6 drops orange diluted in 1 ounce coconut oil. Apply to affected nails twice per day using a Cotton ball or Q-Tip. Hi, I am 13 and have toenail fungus. Can you do a coconut or an oregano soak? Yes you could. Tea tree essential oil is also a very good option. Just make sure to dilute any essential oil with a carrier oil prior to application. I used Inglot O2M nail polish while treating for nail fungus, with good results. It allows water and oxygen to pass through to nails. I have been using Lemongrass and Coconut Oil for a few months and am seeing am little improvement but am wondering would it hurt to change to Orange and coconut oil. THANKS IN ADVANCE. My pleasure. I would rather add a few drops of tea tree essential oil to the lemongrass/coconut oil for nail fungus. I have recently found your site and must thank you for all the easy to understand information. I have used essential oils on and off for many years but had never heard that cinnamon oil can be good for nail infections. I have bought some and have a coconut carrier oil and wonder if you would advise me what dilution I should use. I will make a blend of 50ml carrier oil. Further with regards to your query about dilution, please dilute 22 drops in 50ml coconut oil. For me personally, VICKS, cough remedy worked wonders. I applied it morning and night. At that time I was on holidays and went to the beach almost every day. The sand helped a lot drying the toe nail. It took two weeks for the nail to fall off. I had it for over 20 years!! It was very thick! At that time I didn’t apply anything after it fell off so a new nail fungus grew!!! I paused for a while then I started using all kinds of oils and vicks again. The oils I used were neem oil and tea tree oil. Finally, just about two days ago I peeled it off. This time took more than two weeks. I read on line that sand helps a lot with toe nail fungus, which I think sped up the whole process. I was keeping the sand on it and adding the oil on the nail too! Thanks for sharing your experience about getting rid of nail fungus using neel oil, tea tree oil. Quite interesting to note that vicks cough syrup helped as well. I just wanted to see which oils would help my toe fungus. I have had this issue for years and like many people have said here, nothing had worked. It just so happens that the first oils I purchased were Melalueca, Lavender, Wild Orange, and Lemon. I was thrilled to find out, from your article, that the first two are ideal for curing this problem. I went ahead and started using them together. But, I do wear polish. Should I have my nail tech remove the polish first or can i start using the oils and then have her remove the polish at my next scheduled appointment? Thanks for your information. You are welcome. It is highly advisable to remove all nail polish before starting your essential oils treatment for nail fungus. Having been to a foot doctor for my fungus, the first thing he said was DO NOT wear polish. The fungus thrives on nail polish. Absolutely correct, I can only agree. Thanks for sharing. What is the best option to try for someone with the advanced stages of toe nail fungus. Most of the symptoms you mentioned a family member has. It is hard for me to comment on individual cases without knowing the history. I would recommend to see your doctor in the first instance. 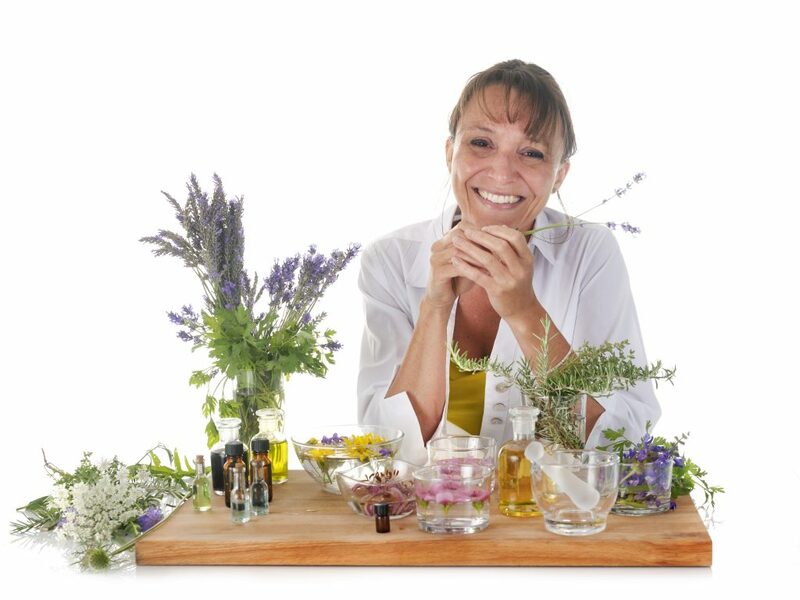 In the meantime, you could try Recipe 5 – the lavender / tea tree oil combination or Recipe 7 using cinnamon oil. I have had nail fungus for 38 years and I have tried everything except lamisil saw on the internet about garlic and olive oil I put a lb of peeled garlic cloves in a blender with organic virgin olive oil and made a salve. Put this mixture on my nails after clipping away as much as possible then wrapped with duct tape every night, I mean almost immediately the fungus softened. It’s been about six weeks and new nails are growing back. And gone are the painful ingrown nails. Hope this can help others. Thank you so much for sharing your experience / recipe of garlic and organic virgin olive oil. It is really appreciated. I got a nail fungus from a nail salon and didn’t realize right away as I had dark polish on. The fungus got very severe so the doctor prescribed lamisil. I really do not feel comfortable taking this medicine due to the liver damage it has caused people. I went and got laser treatment and they completely removed my nail gave me topical treatment and still told me I had to take lamisil because its in the root of my nail. If my fungus is this severe do you believe this essential oils have a chance of working? Any advice would be appreciated as I really want to stop taking Lamisil. I am sorry to hear of the nail fungus complication you have been through. You will need to try essential oils and see the results. I cannot guarantee it will work nor do I say it won’t. You can start with essential oils immediately and use it for a period of a week and then re-assess. If you see positive results, you may continue and do so for another week even after all the symptoms of the fungus have disappeared. I came across your site while researching nail lifting. You have plenty plans for nail fungus, but what about nail lifting without fungus? BTW, I purchased your e-book as you seem quite knowledgeable and I just recently got into EO as a more natural way to health! Also purchased your pain relief formula. Thanks so much for believing in me and for the purchases. I am really grateful and appreciate your support. I will come back to you on nail lifting in the next day or so. I don’t know if my toenail (big toe) has a fungus, but it is discolored and become very thick ~ I have been keeping it cut down as far as I can. It may very well be toenail fungus, which starts with a white or yellow spot under the toenail. As the infection develops, the nail thickens and breaks off at the edges. You can try the essential oils or recipes as per the article or try H-Nail Fungus for relief. Hi can I use h-nail fungus if I am breastfeeding? It is not recommended to use H-Nail fungus if you are pregnant or nursing. Very new to eo and learning every day! I too have a nail fungus on big toe and find it begins to correct, after two months it returns. Could this be a sign of a systemic candida/fungal infection? Tried lowering carbs and sugar…but perhaps daily oregano oil orally? Treat shoes? Please follow one of the treatment routines using one particular oil for instance, e.g. oregano oil as described in the article. Continue the treatment one to two weeks even after the nail fungus has completely disappeared. Follow the tips in the article as well about your feet, socks and shoes. Do not consume/ingest any essential oils unless cleared by your doctor. Curious; which Oregano Oil do you recommend purchasing and where can I order it from? You are welcome, it is my pleasure. I recently started using tea tree oil mixed with coconut oil for my 11 month old little girl. I don’t know how she got fungus in her toenails being that my husband and I don’t have it and she is pretty young. Because I didn’t think it was fungus right away, I let it overgrow. Now it has spread to other toenails and has completely affected her big toenail. I realized I had some wild orange and lavender oils too. Is there any contradiction in using these with babies? Any further suggestions? Both Lavender and Wild Orange essential oils are generally safe to use on babies. I would recommend to use Lavender and please make sure you dilute the essential oils with a carrier oil. In this case, you can dilute it in fractioned coconut oil for optimum results. Ensure that your baby’s foot/nails are completely dry when applying the essential oil and try to keep her foot dry at all times to prevent further spreading of the fungus. Avoid putting socks and shoes on her. If the condition persists, please consult your doctor. 1. What is the amount of tea tree oil to lavender oil? Please use a 1:1 ration of lavender and tea tree oils. Apply 3 times a day over the affected area. I’m presently using tea tree oil and olive oil in equal measures, as you suggested, with good results. However, because I suffer from cold hands, would this remedy make matters worse, I’m assuming the tea tree has a cooling effect. It is great that you are seeing improvement. However, it is possible that things could get worse; it all depends on your body’s reaction to the use of essential oils. I would suggest that you get checked by a doctor as having cold hands could imply a problem with nerves, blood circulation or a problem with tissue damage in your hands or fingers. It is best if you considered H-Nail Fungus. Be consistent in using it and please give me an update after a few weeks. I just ordered a bottle of the tea tree for toe nail fungus. Should i mix that with another oil or try it alone? As stated in Section 1 of the article, mix the tea tree oil with a carrier oil such as Almond oil. Then follow the procedure. Is there anything wrong with combining ALL of these oils in coconut oil to use together twice a day? Absolutely nothing wring with that. You could try to do a small batch test and see if it is effective. Also remember to do a test patch first before using it twice a day. I am excited! After applying this mixture twice a day for a couple of weeks I am seeing progress! I tried just tea tree oil twice a day for a year with no luck. I will let you know if the fungus is gone in a couple of months. Thank you! Thanks a lot for writing back and sharing the success you are having with the recipe for nail fungus. I really appreciate it. Can you please tell me which other oil you mixed together? I am very sad that this fungus has now gone to my other foot. For many years I have rubbed vinegar nightly without success. No meds or strong oils to affect because I have been growing my family (4 pregnancies). Now am raising them and ready to take this on. I have gotten the clove, orange, eucalyptus and coconut oils. What should I start with? You may want to start with Recipe 6 which has a combination of clove and coconut oils. Apply the blend 2-3 times per day and continue with it for at least 3-4 weeks. If the results are not visible, then move on to orange oil. If you have any problems, just drop me a line. What do you think of filing the face of the nail (not the end) so that the tea tree oil can get deeper? That is ok, however just make sure not to overdo it as your nails could turn yellow. Why does over filing make them turn yellow? Do you know? Sure. A condition called onycholysis can cause nails to turn yellow. Onycholysis is when the nail separates from the nail bed and can be the result of various issues such as skin infection, local irritation, etc. including excessive filing. Thank you so much for this very helpful article. I have had this fungus for a very long time and have tried many products that are “guaranteed to work” but never have. The hardest thing for me is to go without polish and display fungus as, I do yoga 4 times a week! Now is summer with sandals and open toes so I feel naked without polish. I just grew up waring nail polish which is probably part of my problem I know. Any thoughts? They would be greatly appreciated. Thank you for your knowledge and sharing this article. I would recommend that you either try any of the essential oils and recipes that is included in this post. Ensure that your feet and toes are always dry after a bath; wear shoes that can breathe, i.e. try to avoid any damp areas that will promote the growth of fungus. Cutting down on sugars and dairy products in one’s diet will also help. If you are a busy person and don’t have the time to follow the treatment recipes, you could instead go for H-Nail Fungus. It is an all-natural product with no side effects. Make sure you apply it 3 times a day and use it consistently. While doing so, make sure to avoid nail polish and do not use it with any other treatment products. Give this a go before attempting laser treatment and let me know if I can assist further. The fastest way to get rid of toe nail fungus is to cut off the offending bits. It’ll look ugly but it’s worth it. No need for expensive creams. This is my own experience with toe nail fungus. I had it a while back and just cut off the infected part and kept it dry after shower. The nail grew back and I didn’t have to apply anything to help it heal. Although I apply Melalueca, lavender and Thyme diluted in coconut oil in a roller bottle to prevent them now. The hard part about the fungus healing is when we don’t cut off the infected part. I cut off every bit of nail that has separated from be nail bed on my big toe. Took about a month to grow my nail back. But totally worth cutting it. I hope it’ll help. I’ve done that for my grandmother as well and hers have healed without any need for creams or meds as well. She is also using essential oils to help prevent them now. Thanks for the update and the fact that the essential oils can assist in curing and preventing toe nail fungus. Have a great new year ahead and take care. Can you tell me which oils worked for you?